When you begin planning the menu for your next big holiday celebration, begin by considering your access to oven, refrigerator, and freezer space. Despite your desire to present a 10-course meal, you may not have the physical resources to do so. If you are storing food on the counter, reconsider. All of your warm food must maintain an internal temperature of 135° or above to refrain from reaching the food danger zone. All cold food must stay below 41°. Keep in mind that the holding temperatures also hold true for leftovers. Be sure to allot enough space for holding your leftovers at a food safe temperature. 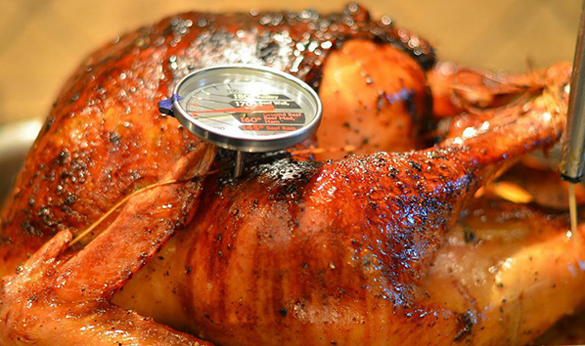 Lastly, use a thermometer when detecting the temperature of your food. A few degrees can mean the difference between safe and a welcoming temperature for bacterial growth. Just as important as holding your food at the proper temperature is cooking your food to a proper internal temperature. Poultry should be cooked to an internal temperature of 165°, pork should reach an internal temperature of 145° after a three minute rest, and side dishes, like casseroles and leftovers, should be heated to an internal temperature of 165°. For additional proper internal temperatures, visit www.foodsafety.gov. This too comes back to temperature. When it comes to defrosting, you have two options: Defrost in the refrigerator or defrost in a water bath. While the first one does take longer, it is not labor intensive. If you are defrosting in a water bath, you must change the water every 30 minutes. For refrigerator thawing, allot 24 hours per 5 pounds of meat. 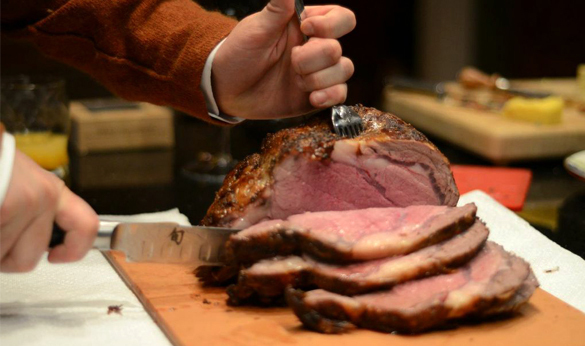 If defrosting in a water bath, allow 30 minutes per pound of meat. a. Wash hands between tasks. This is particularly important if you are managing raw meat and switch to handling other items like vegetables. b. Never use a serving dish that has been used for raw meat without thoroughly washing. c. Use separate utensils and cutting boards for different food items. d. Clean off your prep surface between each activity. Essentially, you should never frost a cake in the same space you are slicing steaks. a. Mandolin – This kitchen tool is sited as being one of the most dangerous in any kitchen. Read this article from the Kitchn before beginning to use your mandolin at home. b. Turkey Fryer – Known to burn down decks and porches and the center of many YouTube sensations, if used properly there is no need to fear your turkey fryer. On the other hand, we were very concerned about this piece of equipment after viewing this BuzzFeed piece and decided to write this guide to Frying Your Thanksgiving Turkey Safely. c. Dull Knives – The very best way to cut yourself in the kitchen is to use a dull knife. Dull knives slip on cutting boards and require extra effort when cutting. Start off the holidays safely and begin by either sharpening your knives at home with a sharpener like this one from Wusthof or by looking into a knife sharpening service. Not sure how to do it at home? Check out our guide on how to properly sharpen your knives. 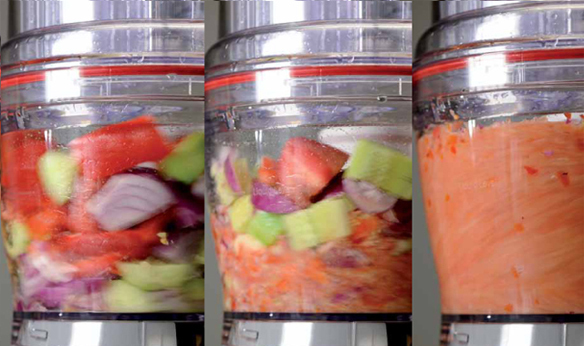 d. Immersion Blender / Food Processor – These are just two examples of kitchen appliances that should be unplugged when not in use. While these tools won’t turn themselves on, it only takes a minor knock off the counter or bump to kick start them. Though almost harmless when turned off, these tools can do serious damage to one’s hands or toes if accidentally turned on. Please, UNPLUG EVERYTHING when not in use. 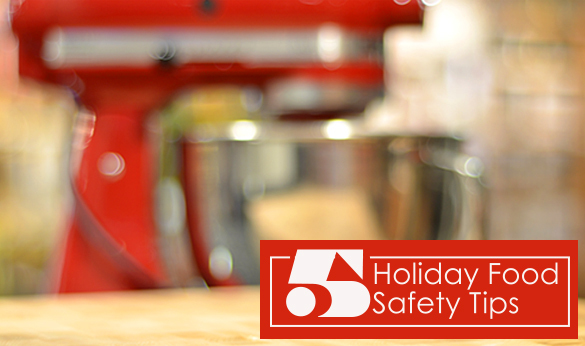 Have any other suggestions for staying safe in the kitchen this holiday season? Comment below and help others navigate safely through some of the minor challenges of holiday cooking.